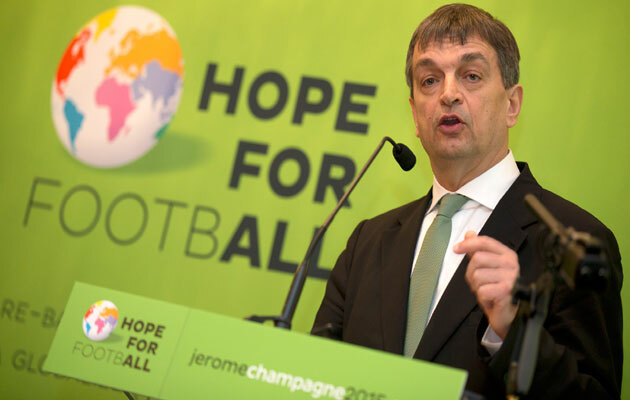 Jerome Champagne believes Blatter's hard work will one day be recognised. Dsigraced Fifa president Sepp Blatter will one day get the credit he deserves for the volume of work he put in as Fifa president, says FIFA presidential candidate Jerome Champagne. The adjudicatory chamber of FIFA’s Ethics Committee banned Blatter and FIFA Vice President Michel Platini for eight years from any football-related activities in December after he was found guilty of misconduct in office. History will judge Blatter more kindly than he is regarded today, says Fifa presidential candidate erome Champagne. “Mister Blatter has done a lot of things [for FIFA] in 40 years, he has changed the map of football, he has changed the way FIFA was functioning… And I think, [I’m] absolutely sure, that history will judge Mister Blatter much better than it is today,” Champagne told R-Sport in an interview. On January 12, it was reported that the investigatory chamber of FIFA’s Ethics Committee would appeal Blatter’s eight-year suspension from football to seek a lifetime ban. Meanwhile, the outgoing Fifa president has vowed to clear his name and has taken his case to the Court for the Arbitration of Sport. A joint investigation by the US Justice Department and the Swiss police into corruption at FIFA resulted in the arrest of 41 officials on charges of corruption and money laundering. Although Blatter was not charged, he announced his resignation on June 2, four days after being elected for a fifth term as president of the footballing body.